Beautiful ruby colour. 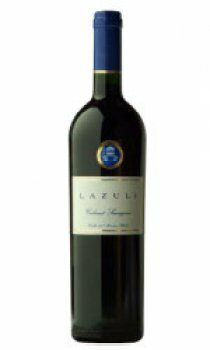 Very elegant and complex nose, with ripe blackcurrant, black cherry fruit and notes of tobacco and chocolate. Rich and powerful on the palate, soft integrated tannins, fine acidity and good oak. Long and intense aftertaste. Easy to drink, with style and finesse. French: Blanquette de veau avec riz aux raisins de Corinthe (Veal stew with rice and raisins) Chilean: Escabeche de Perdiz (Partridge with onions and vegetables). Hand harvested in small, 10 kg, boxes. Hand sorting on a conveyor belt. Crushing - The bunches are washed and dried before crushing. Complete de-stemming and light crushing. Fermenting - In temperature controled 21, 700 liters stainless steel vats. Five days of fermenting at 29C with three pumpings over per day. Eighteen days of maceration after fermentation is completed. Malolactic fermentation in stainless steel. Aged for fourteen months in French oak barrels (60% new, 40% one year).